I am the willing and happy victim of a case of masterly deception. 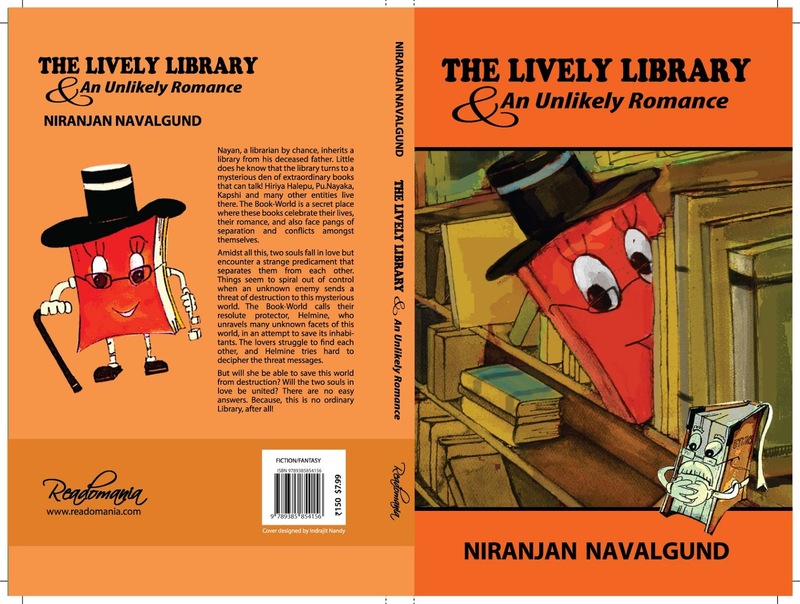 Readomania’s The Lively Library & An Unlikely Romance, a deceptively slim volume, with a wonderfully childlike cover and engaging illustrations within, is no ordinary book about a simple library. As one browses through its pages, one fathoms the boundless talent that nestles in the mind of the young philosopher-writer, Niranjan Navalgund, as he lets his imagination run riot in the Lively Library where books come alive in a magical world that parallels the world of humans. A reluctant Nayan inherits his father’s library, but vows to honour his memory through a re-launch with great fanfare. He conducts a guided tour of the library and the visitors are “intrigued by an aura of mystery and delight” within, an aura that lingers on throughout the narration of the book. 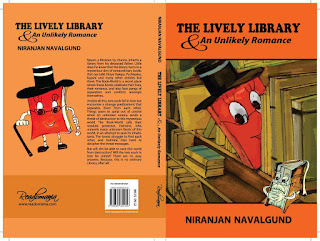 For a person who starts off as a disinterested librarian, Nayan puts forth some unique ideas – the white board, the Librarian’s Desk and the Read Until You Drop concept. Equally enthralling is the description of the book dating season, “a season when the books reveled in their mutual love and the joys of discovering the love.” The two books that, thus, fall in love are amazed at what they have in common. “Their origins were different, but the stories they shared struck a deep, everlasting chord in each other.” When they are separated, an impressive ‘bogya’ (a portmanteau word combining ‘book’ and ‘yagya’) is held to invoke Helmine, the resolute protector, who smells “of the rich flavour of old books” and appears in “her whodunit avatar”. Even as Ryan and his sister, Nithya, play a part in re-uniting the book couple, Helmine, in true Hercule Poirot style, proceeds to solve the mystery of “the threat of their unseen, faceless enemy” who is threatening to destroy the library. Towards the end of the book, as the book couple is united, a singular truth is revealed. Books are capable of having good hearts, of dreaming big, and of fulfilling those dreams. The book ends with a message to the human world of book lovers, again deceptively simple, but one of great significance. 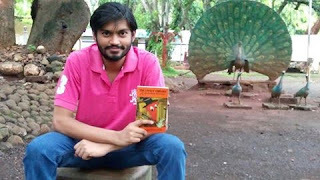 Niranjan weighs his words with care, and puts them together, filling them with his philosophic ideas that take this book beyond the realm of a book for young readers. Since this is the first book in a series, it will be interesting to see where his fertile imagination takes him next! 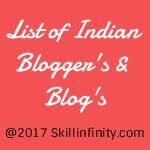 Wonderfully reviewed Deepti & congratulations Niranjan!